Winteregg snow making facilities have been given the green light, all working fine for this winter. It should make a huge difference. You're right, it will. Really looking forward to it. It needs to get a lot colder, but fingers crossed. Long time since I posted but it’s good to be back. 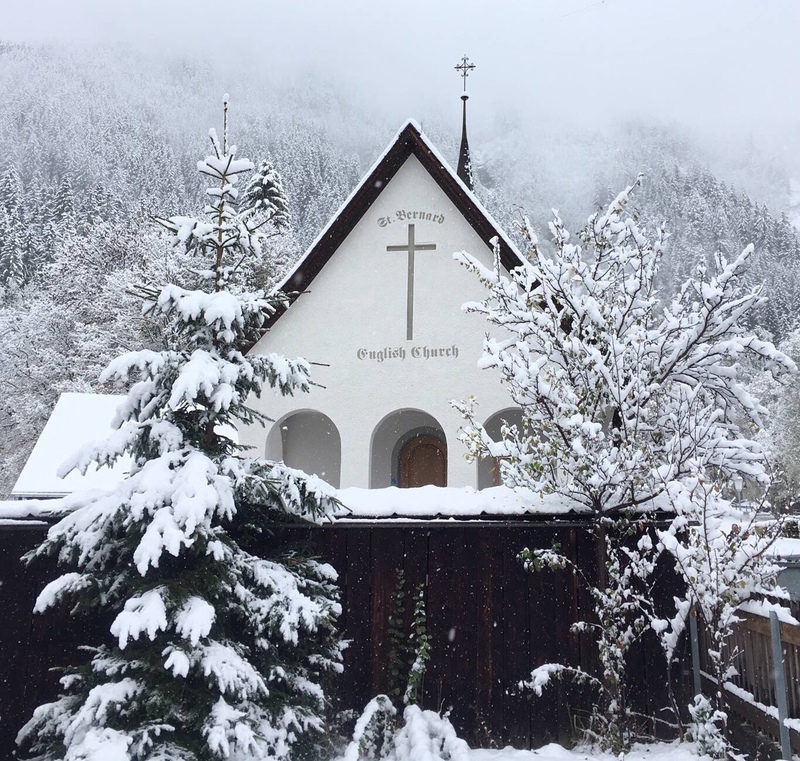 Going to Wengen March 2019. Does any one know when the new V Bahn is scheduled to open? 2019 or 2020? 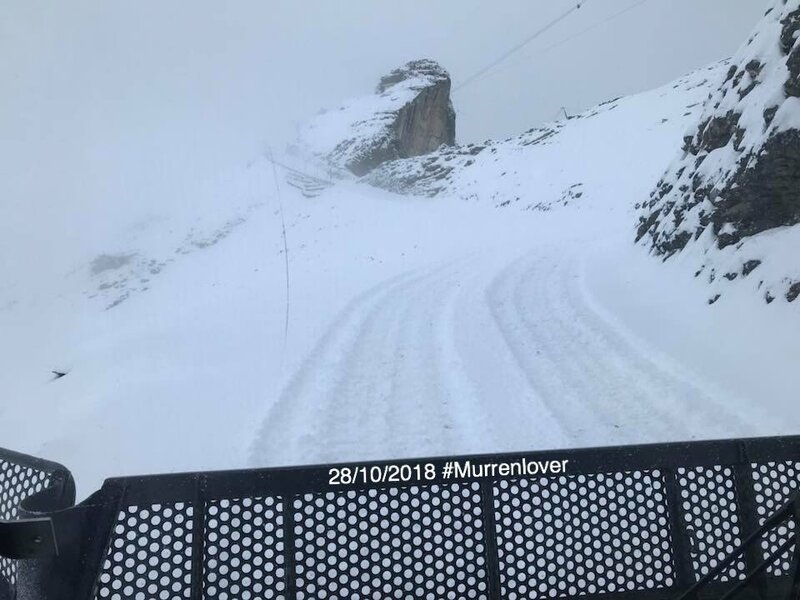 New Männlichen gondola start of winter season 2019. Eiger Express (Grund to Eigergletscher) 2020. Snowing and what a difference in 24 hours! Here's some interesting film shots (without sound) of the Lauberhorn races and Wengen and Grindelwald in 1961. Zermatt is about 3 hours away by train. 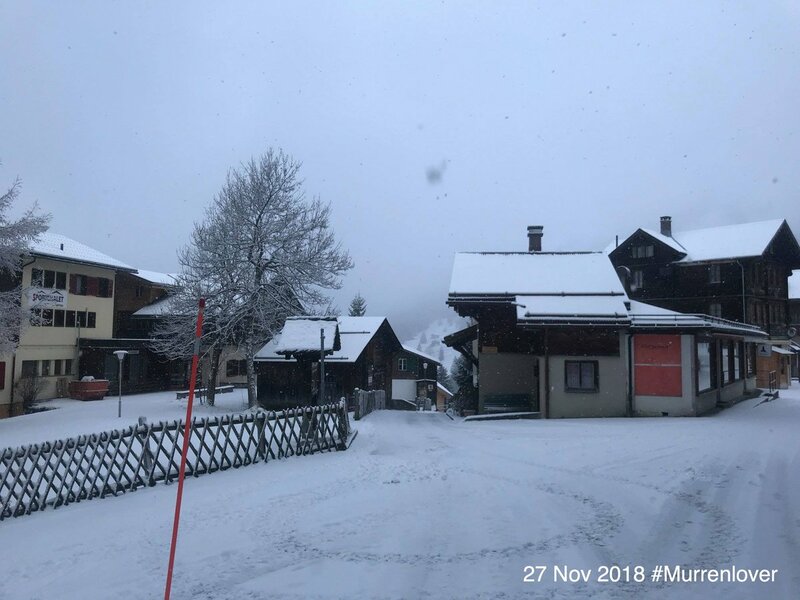 If you have a car you can be in Adelboden in about 90 minutes. You can get by train to Meiringen from Interlaken Ost in about 35 mins. Options are greater than you might imagine. Adelboden as mentioned, about 1hr 15m drive from Lauters. Lenk is greater distance but an easier and quicker drive, 1hr to 1hr 10 to the Metstand carpark. This lift accesses the Lenk/Adelbd. sector. Zweisimmen, you have to drive through this town to get to Lenk. The lift out of Zwei' gives access into the Saanersloch area which is a sgnificant part of the Gstaad area! Without doubt all these areas are well worth a visit, as they are covered on the Top 4 lift pass we ski them regularly. Should have stated that Zweisimmen and Lenk are very easily reached by train. The rly station at Zwei' is 250/300m from the gondola station. Adelboden less accessible as the train would get you to Fruitigen then it would be post bus up the valley. Any sign of snow on the way??? I have a buddy in Val Thorens - highest ski station in Europe. They have the same amount of snow as us at the moment - zero. Too early to worry. 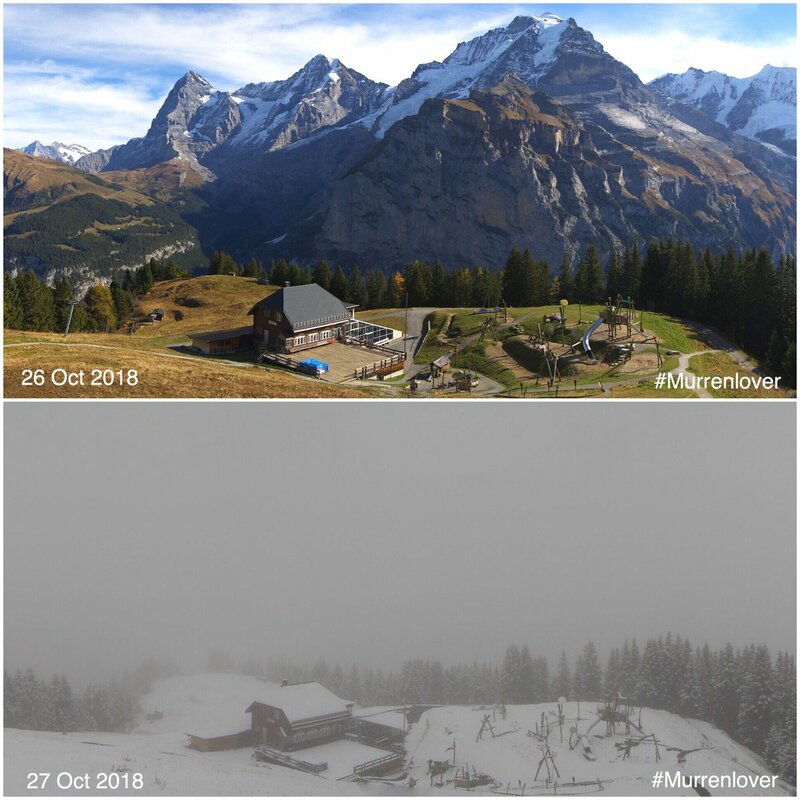 Two of my favourite webcams showing delightful winter conditions. Schilthorn and Konkordiahutte, good low temperatures also. I prefer the lower cams like the one at the Allmendhubel above Murren because if its good at that altitude its going to be wonderful high up! @Chris Brookes, A lucky escape indeed! Skiing at Scheidegg this weekend - Arven and Lauberhorn lifts open. They must have made a lot of snow! Almiboden and Maulerhubel also open as well as the Birg lifts, but not Winteregg for some reason. Too low maybe. 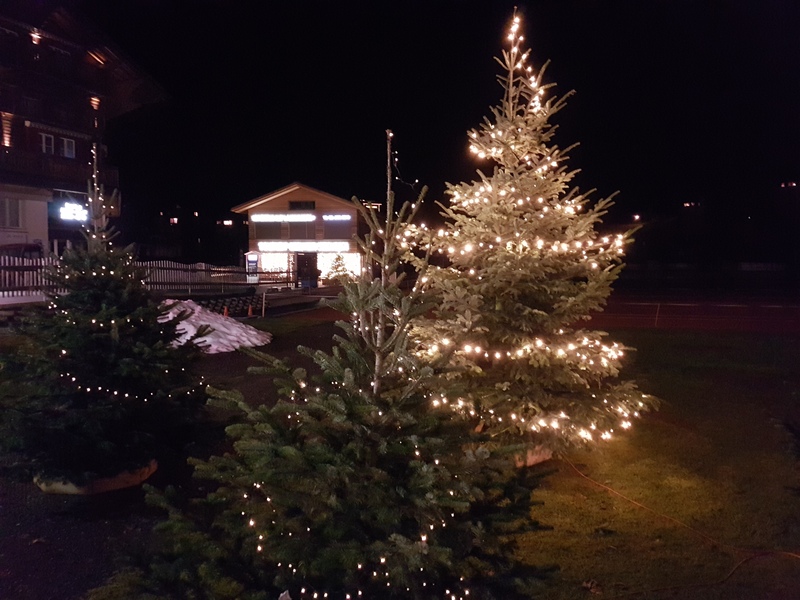 Wengen is quiet with very few people around. Bars are beginning to open - Rocks 3 evenings a week, Tanne opens tonight and the Pickel is back with a nice tapas menu. The only hotel currently open is the Bernerhof. Dozens of Christmas trees out in the street. Weather is bright and dry at the moment - perfect for a walk in the valley this afternoon. 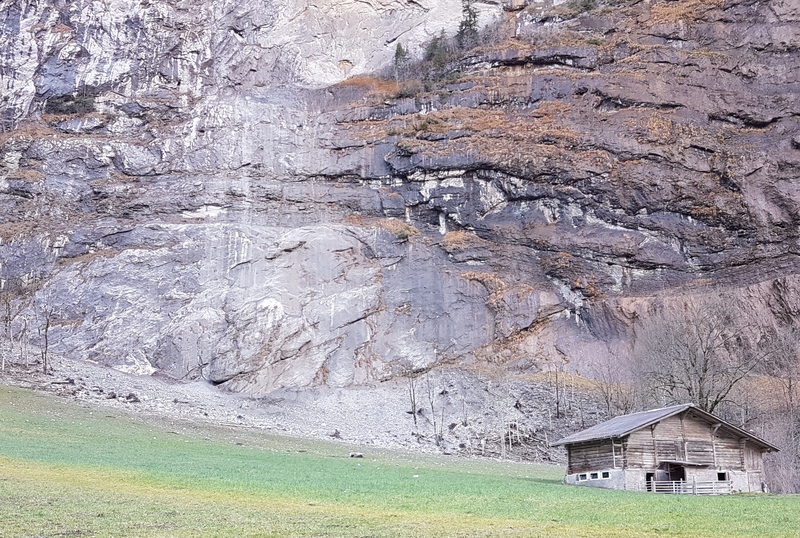 There was a big rockfall at Lauterbrunnen last month - the debris has mostly been cleared up but the sheer quantity of rock is quite something. The weather's changing this evening, snow and high winds are forecast. 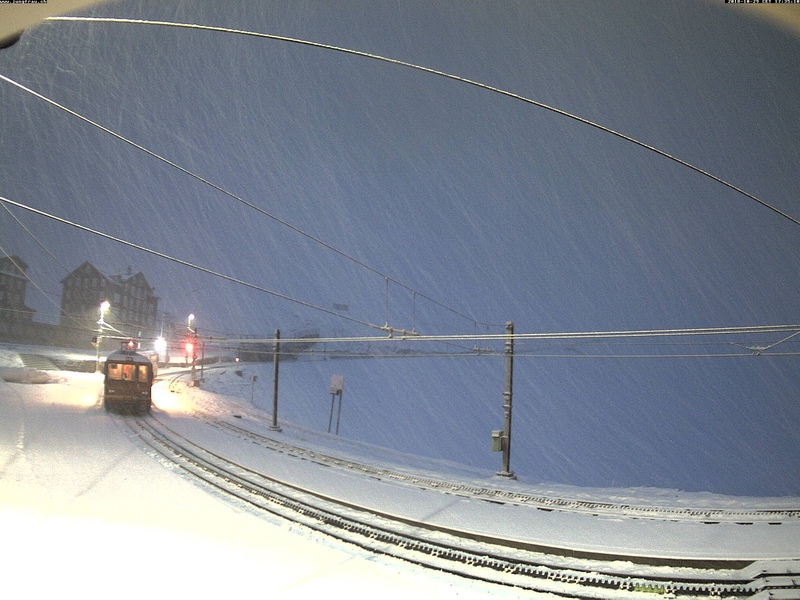 The Jungfraubahn will try to open Lauberhorn and Arven chairs tomorrow if the weather isn’t too bad. Currently +7C in the village and falling fast. @Nadenoodlee, if theres enough snow the nursery slope is dead center of the village, if snow a bit thin then at Kleine Scheidegg the mini slope might be working (Just down from station Grindelwald side) and sledging certainly possible, if forecast temp drops occur then I suspect they will put some man made snow down on the nursery slopes. 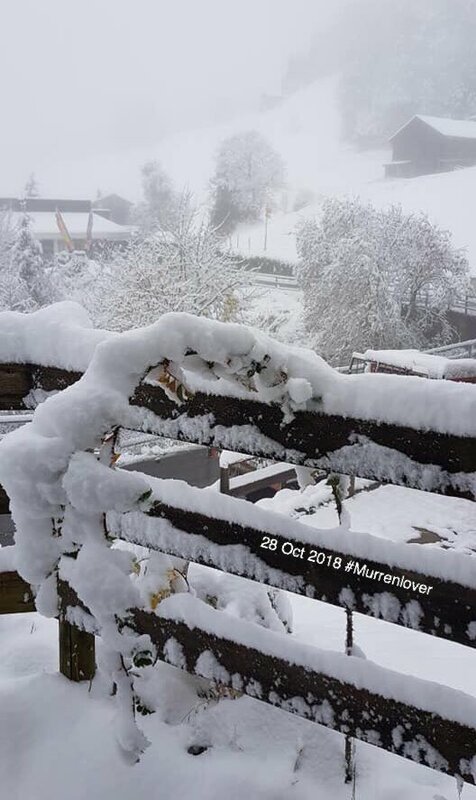 Scheidegg managed to open 2 lifts and 2 pistes today, well done anyone brave enough to go skiing. Over at Birg there was also some skiing this morning before high winds closed everything down. We had a few cms of snow last night, and it’s a lot colder so there should be lots more to come over the next few days. Temp in the village currently +1C.